Tiny sketchbooks that bring to life one of the most famous voyages in history have been digitised and made available online for the first time. 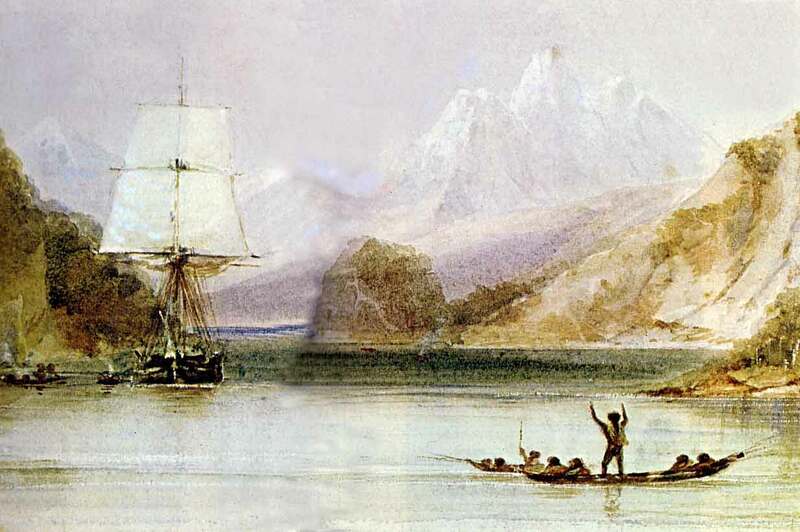 The intricate pencil drawings and watercolours in the sketchbooks were made by Conrad Martens, shipmate to Charles Darwin as they travelled around South America on the voyage of HMS Beagle. Now, for the first time, all of Martens’ Beagle sketches have been made freely available online through Cambridge University Library’s Digital Library: http://cudl.lib.cam.ac.uk/. Martens made the drawings between the summer of 1833 and the early months of 1835. Cambridge University Library owns his two sketchbooks from this period. “These drawings were made almost two centuries ago but even now, they still really vividly bring to life one of the most famous voyages in the world and arguably the most famous in the history of science,” said Dr Alison Pearn, Associate Director of the Darwin Correspondence Project. Conrad Martens was born in London in 1801 and trained as a landscape painter. Following a short voyage on board the HMS Hyacinth he replaced Augustus Earle, who’d been forced to leave the expedition due to ill health, as artist on board the second survey expedition of HMS Beagle (1831-1836). He joined the crew of the Beagle, which included Captain Robert FitzRoy and Charles Darwin, at Montevideo in 1833 and the Beagle accompanied by, a smaller vessel, HMS Adventure set off for Port Desire in December of that year. The first sketchbook begins just before Martens heard that the Beagle was looking for a new ship’s artist, capturing street life in Montevideo in August 1833. The later sketches give a sense of how hard and difficult the journey must have been both on sea and land in uncharted territory. Martens did not have much time to make his sketches and the notebooks are littered with hastily-scribbled notes to himself about colours, textures and the geology of the landscapes before him.